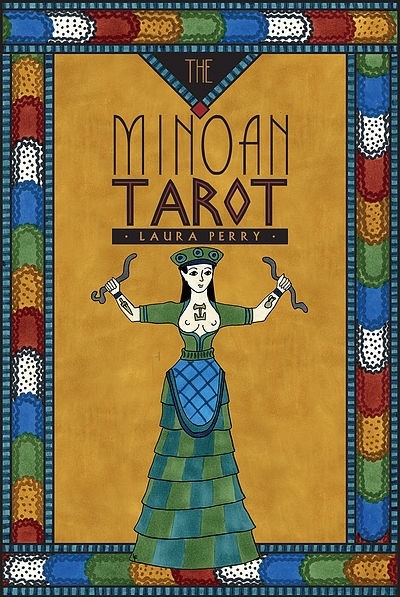 Ancient Minoans meet modern Tarot in this unique, vibrant 86-card deck and guidebook that call on archetypes of Tarot through iconography of a civilization that flourished two millennia before the advent of Christianity. Using the Minoan palette from the ruins of the temple complexes and cities, the artwork was created entirely by hand, inspired by beautiful works of art from ancient Crete. Connect with the mysterious snake priestesses, labyrinthine temple complexes, and courageous bull-leapers. Explore gender-balanced face cards reflecting the egalitarian nature of Minoan society that makes this deck especially relevant for modern users: Priest and Priestess, Lord and Lady, Youth and Maid. Each card displays symbols from an ancient writing system and keywords reflecting literal image concepts or pointing to deeper meanings. This deck and comprehensive guidebook can also be used for meditation and personal growth. 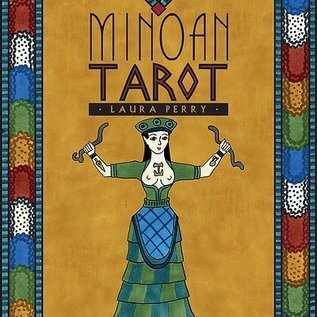 Experienced or new readers will find The Minoan Tarot a natural tool.